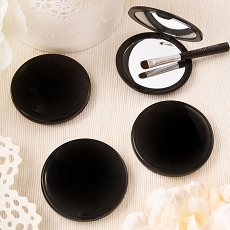 A compact mirror in a sophisticated black color will be a winner when you hand them out as favors at your next event! Thrill your guests with a stylish and functional favor that they will keep as a memento of your special day. The mirror has a black hard molded case. The case is hinged and has an indent which allows for easy opening and closing. Inside, you will find a glass mirror on either side. 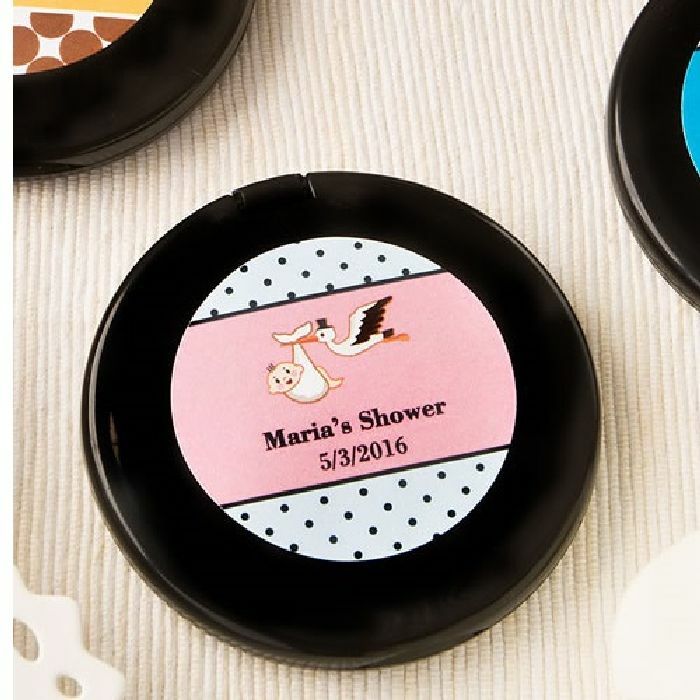 The compacts can be personalized with stickers made to match the theme of your event. Use our special Design Preview Tool to create your own masterpiece from a huge section of colors, exciting border designs and adorable themes, or add your own name, date and special message. Personalized black compact mirror from the Personalized Expressions Collection. A sophisticated and functional favor for a special event!